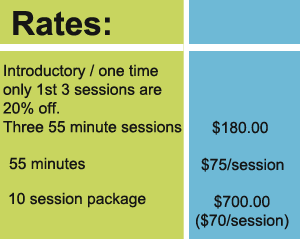 Private sessions are custom designed for the needs and goals of the client. Sessions will improve posture, body alignment, and will help prevent injury. Private training is also good for post -rehab work to continue to strengthen affected areas. 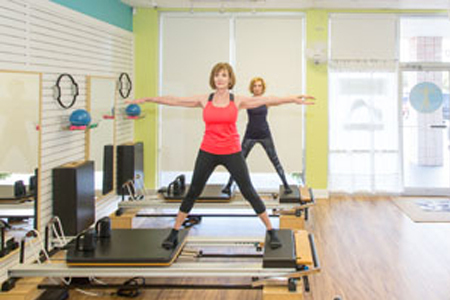 In addition, these sessions can be used for a detailed approach in transition to group reformer classes. 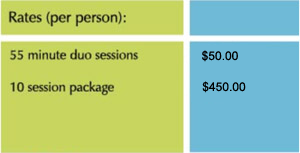 Duets combine the affordability of group classes with the individualized attention of 1-on-1 sessions. Grab a friend and come work out together! For duets we recommend finding your own workout buddies. If you need help with the process, let us know, and we will do our best to connect you with another client! 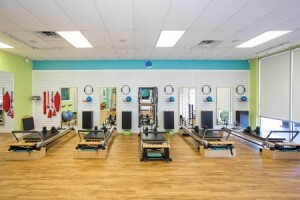 Before taking semi-privates, we recommend beginning with private sessions, or have prior experience on Pilates equipment, in order to get the most out of your sessions. Please contact Gini Murphy for more information. This program is specifically designed for women who have received treatment for breast cancer whether it was a mastectomy, lumpectomy, lymphectomy, reconstruction, chemotherapy, radiation or any combination therein. In the past, doctors recommended rest, but recent studies indicate a link between moderate physical exercise and improved quality of life for breast cancer survivors. Even though you are probably exhausted, your arm/arms may be painful and swollen, and the adjuvant treatments may make you feel even worse, the Pink Ribbon Program can help. This program offers strength, self-esteem and quality of life to breast cancer survivors. It will help stretch and strengthen the shoulder, chest, back, and abdominal muscles, allowing women to regain full range of motion to those areas affected by breast cancer surgery. This program is suitable whether your surgery was recent or several years ago and accommodates all fitness levels.